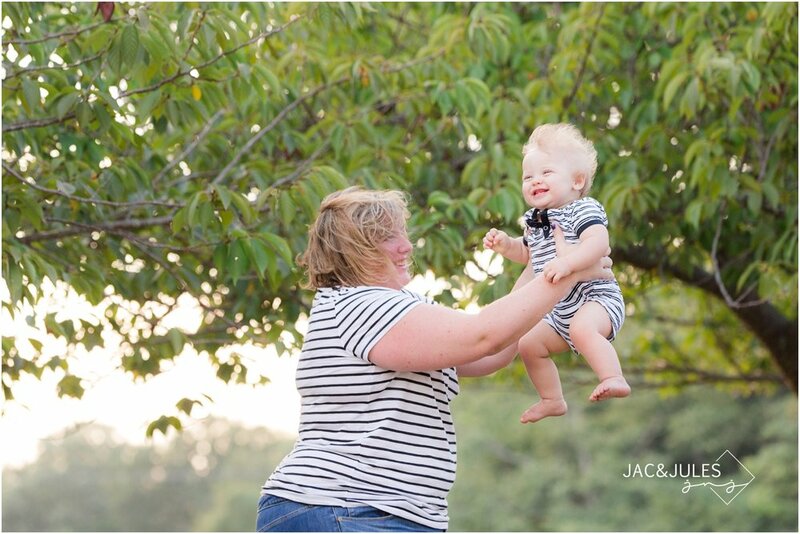 YOU NEED TO SEE THESE FIRST BIRTHDAY PHOTOS AT DIVINE PARK IN SPRING LAKE... ESPECIALLY THE LITTLE BEHIND THE SCENES SEQUENCE OF A PHOTOGRAPHER'S CRAZY ANTICS! Violet and Emmet, my niece and nephew, and of course the cutest twins to hit the Jersey Shore are about to celebrate their first birthday! We kicked off Birthday festivities with this adorable photo shoot complete with cake smash and guest appearances from mom and dad!